Part of being a missionary doctor is that lots of people want to get to know you. Maybe they’ve heard good things about you. Maybe they just want to check you out before they need your skills. Maybe they know you’re going to need friends. Whatever the reason, you’ll probably get invited to a host of social events. Then he turned…and realized what a “mah-sah-koh” was or, rather, who is was: the Japanese animal-rescue worker! Thankfully, she was more than gracious and even became a friend. But, ah, yes, the embarrassment of being the new guy on the block! Do you have a story of a misunderstood new word? What about tips for graciously mending cross-cultural miscommunications? 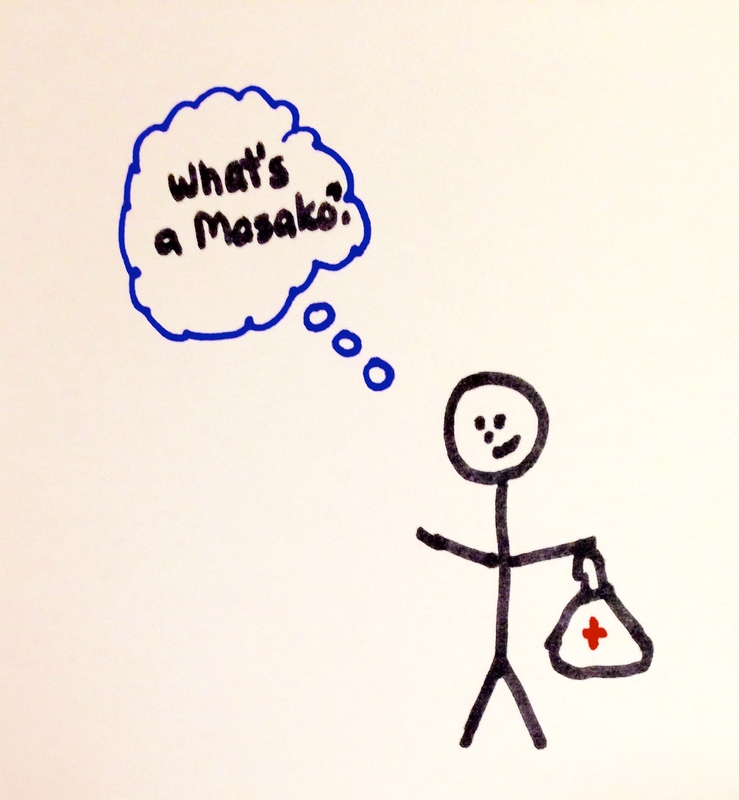 Here at Understanding the Guatemalan Patient we can’t really help you with Japanese names, but we do hope to save you potential embarrassment when it comes to Spanish/Mayan communication. Check out some of our archived “Word(s) of the Week” posts to get a flavor of the terms found in the book! This entry was posted in Food for Thought, Inspiration and tagged cross-cultural communication, foreign language, Guatemala, Japanese, medical missions, missionary doctor, missionary life, misunderstandings, real-life stories on September 8, 2015 by stevenhammermd.